WEST LAFAYETTE, Ind. — Purdue University Libraries will extend hours at four facilities to help students prepare for final exams. The John W. Hicks Undergraduate Library and Siegesmund Engineering Library will be open around the clock during the last two weeks of the semester, from April 24-May 7. The Siegesmund Engineering Library opens at 11:00a Sunday (April 24) and will close at 5:00p on May 7. 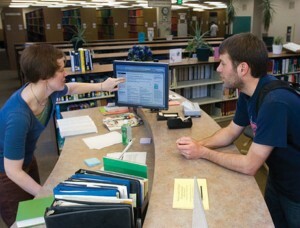 The Hicks Undergraduate Library opens at 1:00p Sunday (April 24) and will close at 5:00p May 7. The Humanities, Social Science and Education Library and the Management & Economics Library will be open until 2:00a Sunday-Thursday during finals week, starting when each library opens on May 1. The locations with extended hours will serve coffee and refreshments periodically during finals week.